I hope, you can remember me. I had a lot of work in a jewellery company the last 14 years and was not able to carve all I wanted. Now I left the company and spend my time with carving netsuke again. I opened a website - netsuke.de - where I can show my works. I will present my work here on the forum and will be happy to discuss my and your work with you. 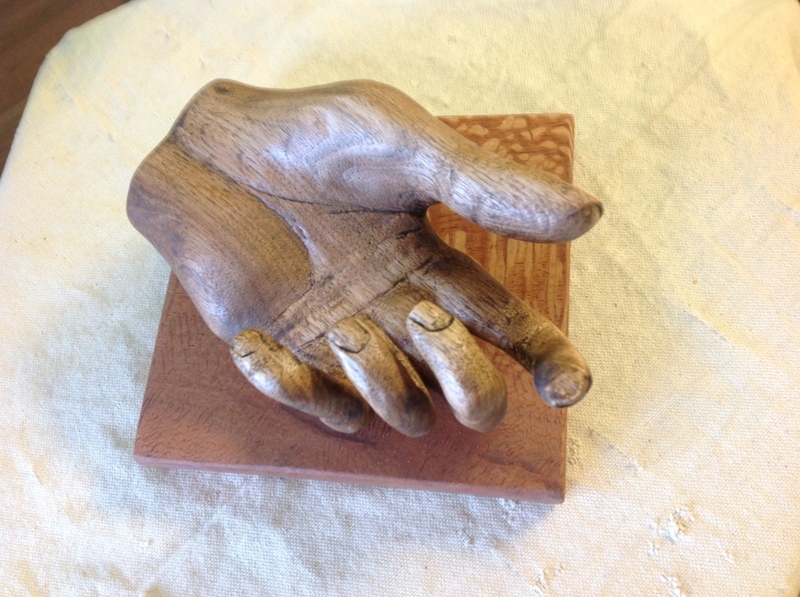 Excellent carvings, I am trying to develop my carving to more small and new works. I like the ones you have shown and I will be looking to see more in the future. This is one of my hands that I have done. Planning on one more later. Hello Hako , it is nice to meet you. I am new here, and have been admiring the works posted. Your pendant at the top of the post is beautiful! Thank you for sharing and hope to see more of your pieces. I like the moonshine (?) pendant too. And the netsuke are cool, good work.